We have offered cutting-edge heat staking (also known as metal-to-plastic insertion) solutions since 1986. Our engineering expertise in developing induction metal-to-plastic bonding solutions has been applied by many automotive manufacturers worldwide. Heat staking has become particularly popular as automotive manufacturers look to reduce weight, noise, and costs while also improving fuel economy. 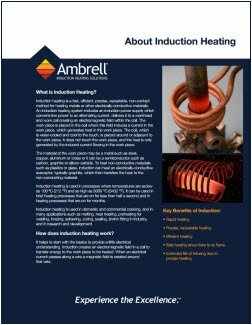 Whether your process involves heat staking of threaded metal inserts into plastic, or injection molding, we have the right induction heating solution for your application. Check out our library of application notes below or contact us today to discuss taking advantage of free application testing for your heat staking application. Click to read how induction metal-plastic insertion can improve the efficiency, effectiveness and safety of your heating process. To heat the ends of 0.072" spring wire, spaced 1/2" apart, uniformly for the application of nylon powder on a 1" length of the end. Review our libraries of metal-plastic-insertion-related resources. 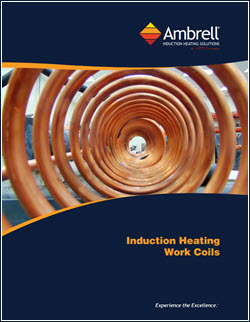 See how induction heating can help to solve your process challenges.